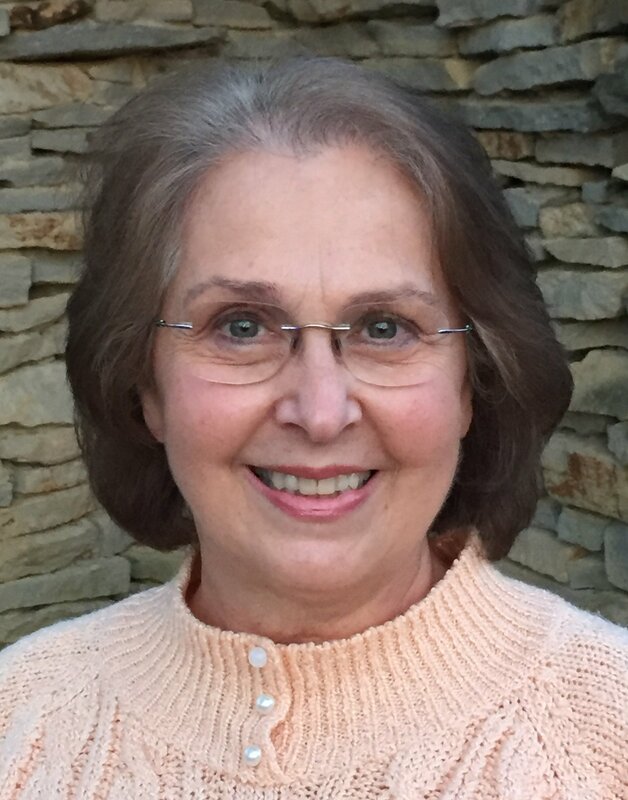 Nancy Clark worked as a cancer researcher and cytology instructor at Ohio State University for many years, until her retirement. She is the founder of the Columbus Ohio branch of the International Association for Near-Death Studies, Inc. (IANDS). She is also the author of several books on spirituality, detailing her spiritual experiences and insights. I was addressing the audience with the eulogy and I spoke perhaps three sentences when all of a sudden I became aware of a brilliant white light coming from the left rear of the chapel at the ceiling. I did not see this light with my eyes, but, rather with some other unexplainable source. It was more of an “inner awareness.” I find it very difficult to describe. I could see but it was definitely not through my human eyes. Upon seeing this light, there was immediate recognition on my part that it was God. I felt I was in the presence of my creator, a very exhilarating, spiritual feeling. I can’t explain how I knew or how I recognized God’s presence. The best I can do is to say that there was a transference of knowledge placed directly into my consciousness. In other words, I was being fed the information that I was supposed to receive. The love that was emanating from the light is by far the most difficult aspect of my experience to relate to others. I feel so inadequate to speak of this love. Not because I am not a scholar, a theologian, a scientist, or someone who can dissect it and analyze it. I am limited simply by being human! It was not a human kind of love. It was not within the framework of our human experiences. Therefore, it defies human explanation. I can only say that it is because of this love that was channeled to me that I am able to remain strong and travel down life’s highway knowing that a great truth has occurred. I wanted to remain in the presence of this light forever! I felt as I was in a state of grace. All my sins were forgiven and I felt perfectly and totally FREE. If I had somehow been asked at that moment if I wanted to go with this light and leave my earthly life behind, I would not have hesitated and I would have chosen to go. Not because earthly life is so bad, but, rather, that’s how incredibly beautiful the light was. …one day in 1979 while delivering a eulogy for a dear friend, I was engulfed in a brilliant white Light, the likes of a trillion suns merged into one. My spirit-self transcended upwards and into the Light of God, and into the Eternal Sacred Realm. The miracle of this revelation experience is very similar to what the Apostle Paul experienced on the road to Damascus. Divine unconditional love beyond human comprehension was infused into my entire being as the Holy One began to teach me about man’s true nature. I was instructed to help people to return to our connection to the Divine Loving Presence within, our Source for ultimate happiness, love, joy and peace. My life from that moment on has never been the same. Nancy’s experience continued to deepen and manifest the following features… unearthly peace; traveling at a fast-rate of speed into a dark space; a life review and total knowledge. Nancy wanted to stay with the Light of God but was told, “It’s not your time yet, you have to return.” The Light told her to become a communicator to help raise human consciousness to one of love and peace. She was also told to write a book revealing what she learned while in the Light’s Holy Presence. She was given a fast-forward life preview of what her mission or calling would entail. Once Nancy promised the Light of God she would serve in this capacity, she was sent back into physical consciousness, leaving behind, the home of all homes, beyond space and time. …at the time I was delivering the eulogy in 1979, however, I experienced the identical features of a classic near-death experience, proving there are many trigger releasers to this type of transcendent experience with the Light; coming close to death is only one trigger. I experienced the following features of that Sacred event: tremendous peace that can best be described as the ‘peace that passeth all understanding’; my spirit-self lifted out of my physical body; I encountered and merged into oneness with the Light of God whose unconditional love is ineffable; I traveled through the dark universe at a tremendous rate of speed; witnessed at least eleven dimensions; timelessness; telepathic communication; life review; life preview; I was given total knowledge; 12 guides were with me; I wanted to stay but was told I had to return and share what my Great Teacher revealed to me so that I could help humanity raise their consciousness to Light-consciousness: and then I experienced a rapid re-entry back into the physical body, and I was forever transformed from that moment on. What I saw and what I learned from my Great Teacher during those fifteen minutes “Nancy” was delivering the eulogy, will forever be cherished as the most supreme and sacred event in my entire life. The All-encompassing Presence and my ego-self “I,” disappeared into the radiance of the eternal realm. It’s sudden onset by the Grace of the Divine Presence instantly transformed my life, clearing from my mind old beliefs, and ushering in the awareness of my authentic true self. Clark describes this experience in much greater detail in several of her books. Each of the multiple accounts of the same experience are somewhat different, paradoxical, contradictory, differ in details, etc. Telling a minister of one’s experience, who replied pessimistically, saying that it was “of the devil.” But stayed firm in one’s conviction of the Divine source of the experience.